Because January is always the busiest month for resume writers, I thought today might be a good day to send you a message of encouragement. That's to be expected. So let me share a little encouragement -- and some ideas -- with you today. 1. Ask Yourself: Why Do You Want It? It's much easier to be persistent if you know why you want it. Why are you self-employed? What is your goal -- and what is the motivation behind the goal? If you're unsure of your motivation, then take a few minutes to figure it out. This is important. If you don't know your why, then your how, what, and when are much more difficult to follow through on. I'd really encourage you to write your why down -- or, if you prefer, create a vision board (a visual illustration of your goals). 2. One Step At a Time. One of my favorite sayings when I'm overwhelmed is, "There's only one of me." That's a reminder to me -- and others -- that there's only so much I can do. Just keep putting one foot in front of the other. It's much easier to take many small steps towards a goal than to try to achieve a handful of monumental steps. If I get overwhelmed by a client project, I just start on it and work on it as long as I can. If I can't get started, I set my phone timer for 10 minutes and tell myself I'll just work on it until the timer goes off. Once I get started, I can usually keep going. 3. Support Matters. One of the best things you can do for yourself as a resume writer is to come up with processes and systems for yourself and your work with clients. Every project is harder to tackle if you feel like you're starting from scratch with each client. If you can come up with a standard support system for your work, it makes each step you take along the way easier to manage. Attitude is essential for perseverance. Perseverance is the ability to stick with it and to follow through, even when times are tough. It's an entrepreneurial requirement. Get clear on your reason for being a self-employed resume writer. Accept that there will be difficult days. And, when possible, create support systems to help you along the way. 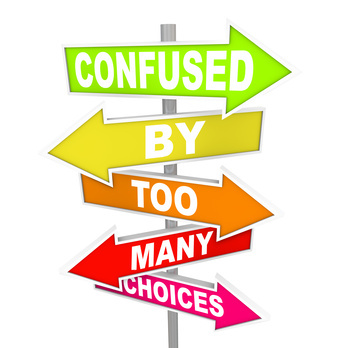 Are Your Clients Confused About Using Social Media In Their Job Search? Are your resume clients confused about how to use social media in their job search? A better question is: Are YOU confused about what your clients should be doing to use social media in their job search? If so, mark Thursday, Jan. 30 on your calendar. Social Media for Skeptics & Non-Social Media Enthusiasts! Perhaps you realize that social media has become an important part of a job search strategy and your clients have begun to ask if you can help them with their LinkedIn profiles. Or maybe, up until now, you’ve dabbled on LinkedIn or perhaps Facebook or Twitter, but haven’t taken the full plunge. You’re still trying to figure out which site is good for who and why. You’re not alone. Dissecting the myriad of social networking sites can be daunting, confusing, and time consuming. LinkedIn: Keys to writing a stand-out, optimized LinkedIn profile, and getting decision makers to listen to what your clients have to say. Facebook: How to transform Facebook from a network of friends to an army of advocates for a client’s job search. Twitter: Methods for taming the noise on Twitter and focusing strategically on the influencers that can help your clients’ careers soar. Google+ Why Google+ is not just another social network and how your clients can leverage it to create a top-notch online identity. Questions? Call Shelly at The Academies at (877) 659-3769 extension 1 or email Shelly@theacademies.com. I'm planning on taking this training myself. Even though I'm very social media savvy, anytime I can learn something new to help my clients in their job search, I invest in the training. Remember, if you mention me (Bridget Brooks) or Resume Writers' Digest when you register for this program, let me know and I'll send you a special bonus. 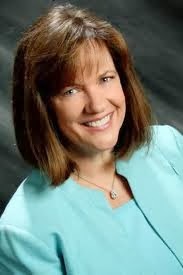 Has Susan Whitcomb Gone Crazy? But I think Susan may have gone a little bit crazy. 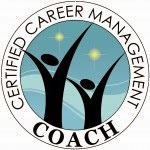 I heard from her team today that their flagship program, the Certified Career Management Coach course, will be offered starting at the end of this month. And if you register at least one week before the start of the class, you will receive an extra-generous Early Bird price - $500.00 off -- plus free registration for the social media job search course that Barbara Safani is teaching at the end of this month -- Social Media for Skeptics & Non-Social Media Enthusiasts! If you’re considering coach training or thinking of referring someone to coach training, I invite you to explore The Academies’ Certified Career Management Coach program. The $500 Savings ends Jan. 21. Plus, when you register between now and the 21st and you’ll also receive the live program, “Social Media for Skeptics & Non-Social Media Enthusiasts!” taught by Barbara Safani. Installment payments are available too. I know 24 resume writers who have completed the CCMC program, and would be happy to put you in touch with one of them to talk about the program and what they got out of it or to answer any questions you have about the training. I'll write a news release for you when you receive your CCMC certification and help you distribute it for maximum impact. I'll also help you put together, promote, and host a teleseminar to help you acquire your first coaching clients. What better way to set the stage for a successful 2014 than acquiring this certification? P.S. – Please don't tell Susan I called her crazy for offering this super low price and the Social Media class bonus! Which Resume Writing Certification Do You Recommend? Which resume writing certification do you recommend: NCRW or CPRW? Jennifer asked this question on LinkedIn, and I realized I should share my answer on this blog too. When choosing a certification, it's really up to you to decide what you want out of certification (in other words, WHY do you want to get certified)? 1. Am I already a member of an association that offers a credential? (CPRW for PARW, NCRW for NRWA, CARW for CDI, etc.). If so, your cost of acquiring the credential is lower, as membership is required to apply for certification. PARW also requires ongoing membership to keep your credential "current." 2. Speaking of keeping your credential "current" -- look at what the standards are for renewing your credential. Does it require continuing education? How much? How likely am I to be able to achieve the continuing education standards and therefore renew my credential? 3. Do I just want to test my mastery of resume writing, or do I want to learn principles and concepts of great resumes along the way? Again, the CPRW would be a "minimum competency" credential, while the MRW (Master Resume Writer) offered by Career Thought Leaders would demonstrate an elite level of competency. 4. Why do I want to become certified? If, for example, you want to subcontract as a resume writer and certification is required by the contracting writer or organization, ASK which credential(s) they accept, and which they prefer. If you're getting certified as a way of attracting interest from resume prospects, be aware that the vast majority of consumers don't understand the difference between the credentials, so becoming a "certified resume writer" is good enough for them ... they can't tell them apart. 5. If you are looking for more clients, being listed in certain organizational directories as a certified writer can help you get business -- I don't have concrete figures, but I believe the PARW website gets more traffic than the NRWA or CDI websites, and therefore, being listed in their certification directory would probably yield more leads. And again, if you're using it for business development purposes, once you're certified, join CertifiedResumeWriters.com and be listed in their directory too. What do you think of these questions? Which certification do you have -- and what do you think of it? Let me know your thoughts in the comments! Today's blog post challenge is to write about something that irks me. Here's one. There are enough people dissing resume writers out there without us tearing each other down. Are there good resume writers, and not-so-good resume writers? Sure. But instead of writing Facebook status updates and blog posts about how you have to rewrite the work of other resume writers, why not reach out to the original writer (if you know who it is -- and that's not often hard, if you check the "Summary Info" section of the Word document) and offer some assistance? With millions of potential clients out there -- and surrounded by pundits who say you don't need a resume writer, or do-it-yourself resources -- when you publicly tear down the work of other resume writers, it makes the public doubt all members of the profession. That may not be your intention -- but that's the perception it creates. It's hard for many people to decide to work with a resume writer, and it's even harder for them to judge what makes a "good" resume writer. I believe the fact that someone is asking for help at all is going to make them more successful. In my experience, there are few resume writers who will actually make a client's resume worse -- so if they take a client's resume that is a "two" and they make it a "six or seven," that client is going to benefit, even if it's not a "ten." And, frankly, most of these clients are not going to be unhappy, because having their resume worked on will give them more confidence. YES, there is a difference between a $50 resume and a $5,000 resume. But there are clients who can't afford even a $500 resume. I've said it before -- there are resume writers who are not certified who are charging $100 for a resume that is better than some certified resume writers who charge $500. Our goal should be to elevate the profession. To encourage each other to continue our professional development. To share best practices. To educate one another. To educate prospective clients on what a good resume looks like ... and how to find those writers. Research the original writer (again, you can often find this in the "Summary Info" section of the Word document). Google the person/firm. Reach out to the original writer and introduce yourself. Explain that the client came to you seeking a rewrite. (You may get some interesting information from the writer about the client that will help you serve him/her better.) Encourage the writer to join a professional association in the industry. Instead of writing a status update or blog post criticizing the work of that writer, turn it around and use the opportunity to educate the public about what DOES make a good resume. ("Are you making these four mistakes on your resume?" or "Is Your Resume Working?") Don't point out that the mistakes were made on a "professionally" written resume. After all, it's likely that do-it-yourselfers are making the same mistakes. I believe there is enough business for everyone. We don't have to tear others down to build ourselves up. One of the things that impresses me most about the resume writing industry -- overall -- is that we are colleagues, not competitors. PLEASE keep this in mind the next time you are tempted to post something negative about another resume writer.